This is a subshrub with striking, colorful foliage. 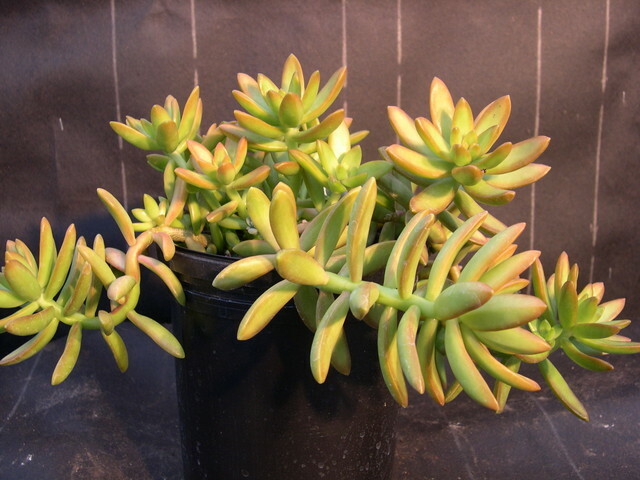 Smooth succulent leaves are vivid orange-tan if grown in the sun. Lightly fragrant pure white flowers appear from January to April. Tender but will handle a couple of light frosts. Can be used as a container plant and works well in hanging baskets. From Mexico.